Following the exciting news of being named Radio Disney's “NBT” (Next Big Thing), JAGMAC is now announcing they are going on a nationwide tour with IN REAL LIFE from ABC-TV’s music competition series “Boy Band” and will be releasing their next single, “Not Sure.” The song follows “Right Back (With You),” JAGMAC’s hit single from this summer, and is another high energy pop track with an explosive hook, about relationships and how it's sometimes best to step back and check that your commitment is for real so that you don't waste your time or anyone else's. The group of four brothers and two sisters enjoys a close relationship with their fans. Most of their songs are written with them in mind, containing inspirational messages meant to guide them through some of the trials and tribulations teens face today. The siblings co-wrote “Not Sure” with Ramir Vincent. Jayme Sullivan and Tommy Hubbard produced. Every sibling is given the chance to shine in “Not Sure” but the sisters take on the pre-hook and hook and the passion in their voices really hit home the song’s powerful message. Born and raised in Baltimore, Maryland, JAGMAC has become known for their catchy choruses, stunning vocals and remarkable dance routines. They sing, dance, co-write all their songs, choreograph their own moves and play musical instruments including the guitar, piano, bass and drums. Every member of the group also holds a black belt in Tae Kwon Do. Since forming JAGMAC three years ago, the group has achieved many impressive accomplishments. In 2016, their single “So Good” hit the no. 20 spot on the Radio Disney Top 30 chart and that summer, they were the opening act for Little Mix's UK tour. Their next single “Soldiers” hit the no. 15 spot on Billboard's Hot Club chart. Earlier this year, JAGMAC was named Radio Disney's “NBT” (Next Big Thing), joining an impressive roster of “NBT” alumni who have quickly grown to be some of today's biggest artists, including Shawn Mendes, Camila Cabello, Fifth Harmony and Alessia Cara. Their journey was featured in a series of exclusive “NBT” videos on Radio Disney, Disney Channel, the Radio Disney app, the DisneyNOW app and social media platforms. JAGMAC was also invited to perform on the Emmy Award-winning FX series, “Baskets”. Together, they are ready to conquer the world. JAGMAC has been penning a new album with many of the industry’s top writers, including Graham Edwards (Justin Bieber, Rihanna), Lauren Christy (Avril Lavigne, David Bowie) Pam Sheyne (Christina Aguilera) Bryan Todd (Miley Cyrus), Ben Adams (Craig David) and Manny Streetz. 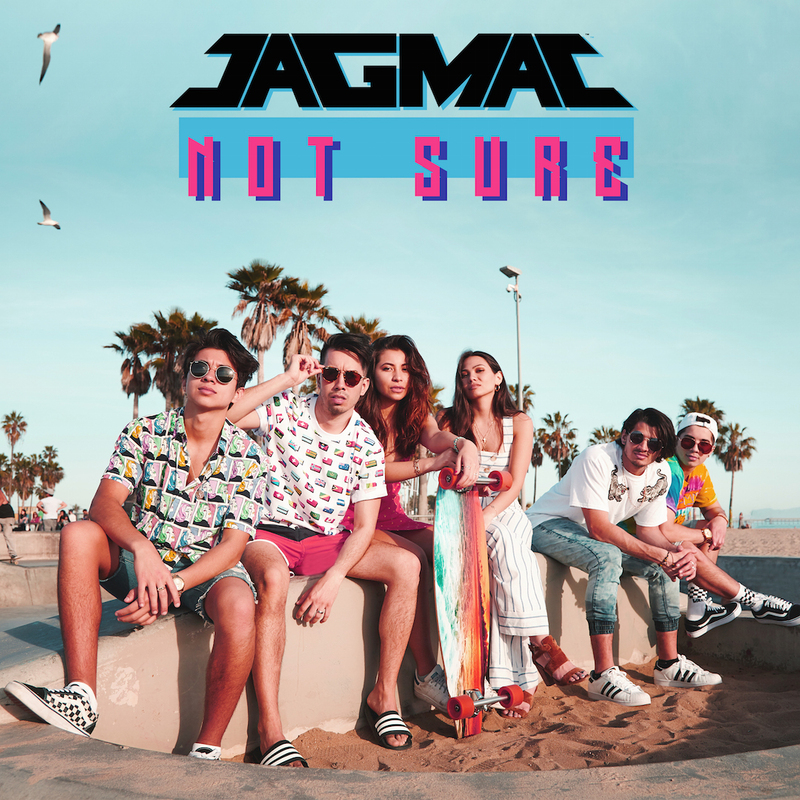 JAGMAC’s “Not Sure” is available on iTunes and all major retailers and streaming services via Unitas Entertainment LLC. Follow JAGMAC on Facebook, Twitter, and Instagram @jagmacmusic.